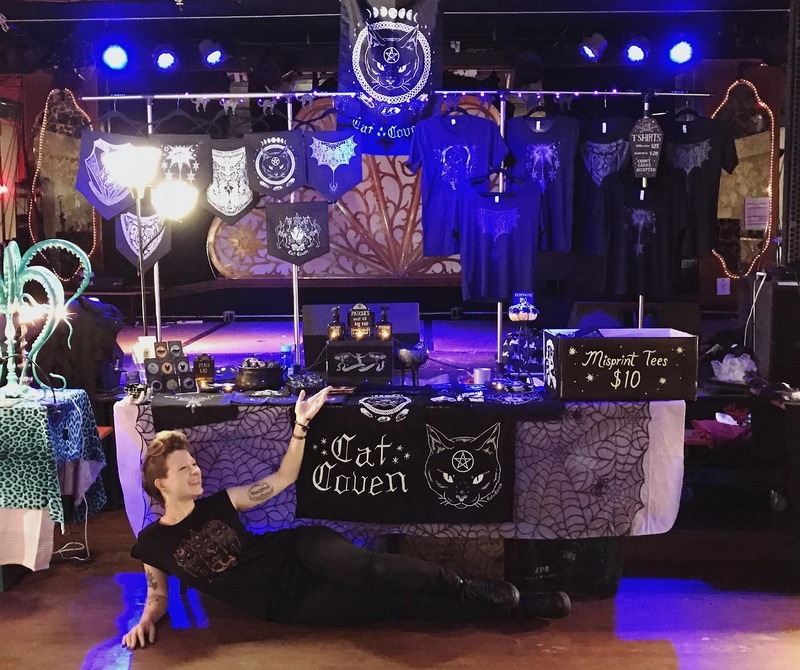 Cat Coven is a lifestyle brand for the weirdos, witches and warriors. It was created and is run by Kjersti Faret, an illustrator and crafter based in Brooklyn, NY. Currently, Kjersti designs and screenprints all of Cat Coven's apparel and patches herself. The shop began in 2013 while Kjersti was studying at the School of Visual Arts. It started as a way to get her finished projects out of her workspace by selling them on Etsy. She soon realized how much she loved putting her art on every day products people could wear and use. Eventually that little Etsy shop evolved into the independent shop that is Cat Coven today. Kjersti's imagery is influenced by her interest in the occult, art history, feminism and cats. She hopes her illustrated clothing makes people feel confident and empowered. For now Cat Coven is a one-woman-shop operation. This means the owner, Kjersti, does nearly everything from designing to printing. Most of the apparel is Bella & Canvas brand. They are WRAP certified. Learn more here.